Irish Age Groups Division 2 – 25 June 2015 to 28 June 2015. 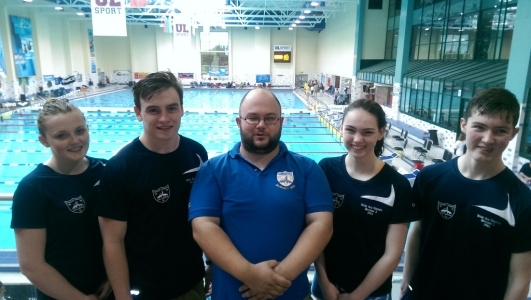 Askeaton Swimming Club had 6 representatives (Daniel Collins, Roisin Duggan McSweeney, Jack Feane, Casey Flynn, Michael Gallagher and Eve Higgins) at this National Level Competition swimming in a combined 17 events. On Thursday we had no competitors which gave us a chance to get into the pool and familiarise ourselves with the surroundings and soak in the atmosphere setting the tone for a good weekend of competition. Friday morning saw everyone arrive at the University Arena in good spirits. Our first athletes in the water were Eve Higgins and Casey Flynn swimming in the 100 Backstroke. Eve swam a strong race and finished 54th overall, a massive achievement in her first national level competition, something she and her parents can be quite proud of. Casey knocked 6 seconds of her personal best time and qualified for the final which would run on Friday evening. Casey was next to be in the water on one of her two busy days in the 200 Freestyle. Another strong swim saw another personal best breaking the 2:30.00 barrier for the first time and finishing in 13th position. Daniel Collins was up next in what was also his first swim at a national level competition. Setting out a blistering quick 200 Freestyle pace and shaving 6 seconds from his previous best he finished 11th overall. 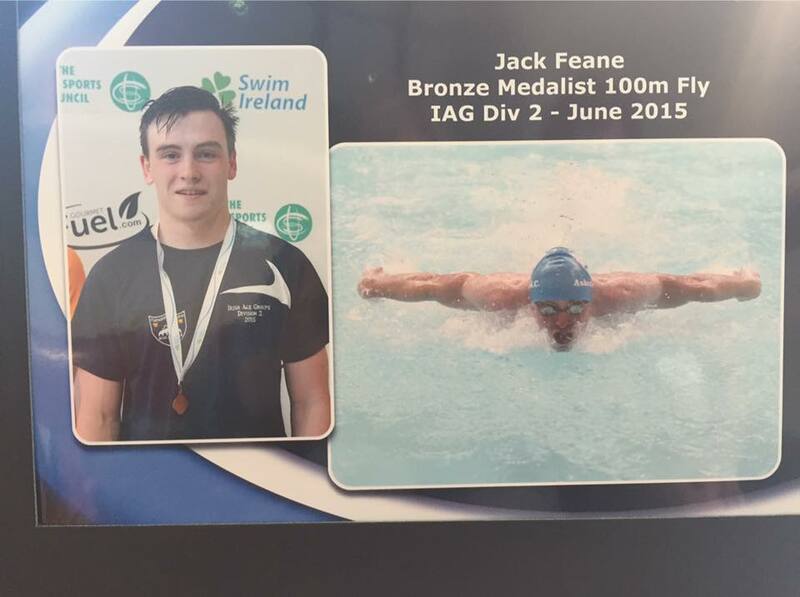 Our final swim of the morning was also in the boys 200 Freesyle and our most senior swimmer Jack Feane. Jack went close to his personal best time and finished 20th overall in an extremely competitive 16-18 age group. We returned to the pool on Friday evening for Casey Flynn’s final of the 100 Backstroke . 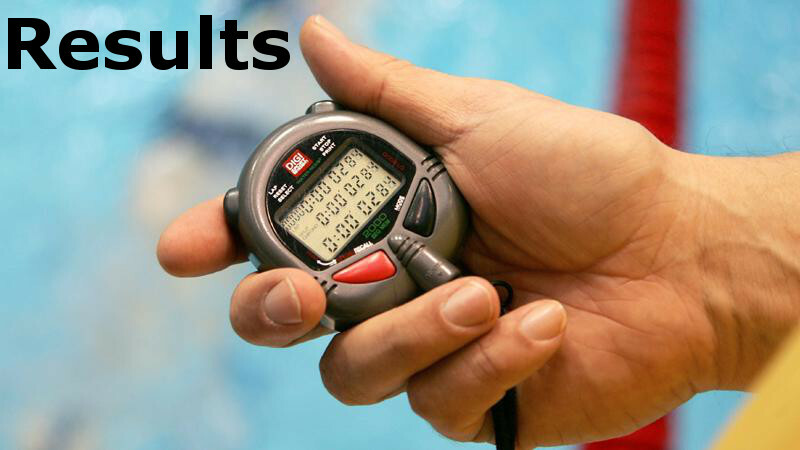 An exciting race which saw 5 swimmers finish in just 0.6 of a second to decide 2nd to 6th place. Casey had set another personal best taking a further 0.2 seconds off of her time set in the heats and finish in 5th place. Saturday was our busiest day in the pool. Daniel Collins was the first to return to action in the 400 freestyle and event which he was just competing in for the 3rd time. A slight miscalculation on the pace of the race saw Dan just outside his personal best but still finish in 14th position overall. 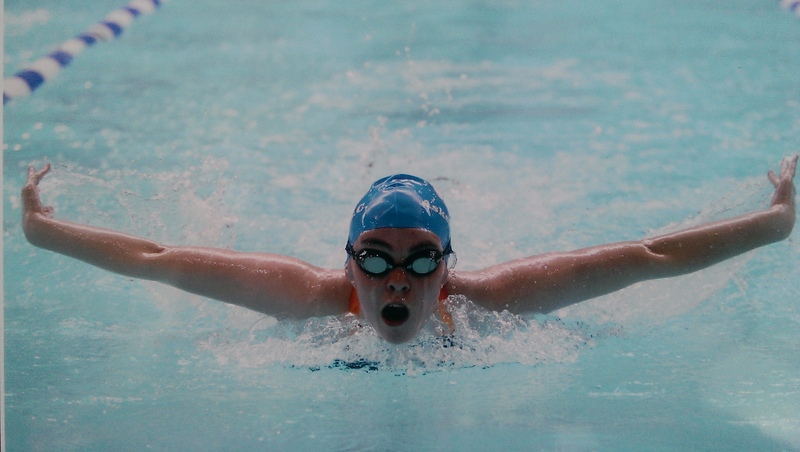 Casey Flynn was next on the blocks in her favourite event the 100 Butterfly. A steady paced race saw her qualify for the final in 2nd position just a fraction outside her personal best. Jack Feane was next in his 100 Fly. A speedy start saw Jack qualify for the final in 3rd position. Roisin Duggan McSweeney was next in an event that she had only previously swam once before the 200 Backstroke. She shaved just over 3 seconds off her previous best and qualified for the final in 6th place. Casey and Roisin would return to the pool for the 200 IM. Both girls set personal bests in the heats and Casey would return to swim this event in the finals session in the afternoon. First up in the finals session was Casey Flynn. In an extremely controlled race Casey turned at the halfway mark in 4th position and made a move for the front of the field. With 25 metres to go had got up to 2nd and making a move for the lead. Attacking from the turn with 15 metres to go she had secured the lead and went on to finish the race more than 1 second ahead of everyone. Our first female national champion and destroying her personal best by more than 3 seconds. Jack Feane was next up. With a more controlled race than the morning session jack finished 2 seconds faster than the morning session and earned a bronze medal. Finishing just .18 of a second behind the silver medal winner. 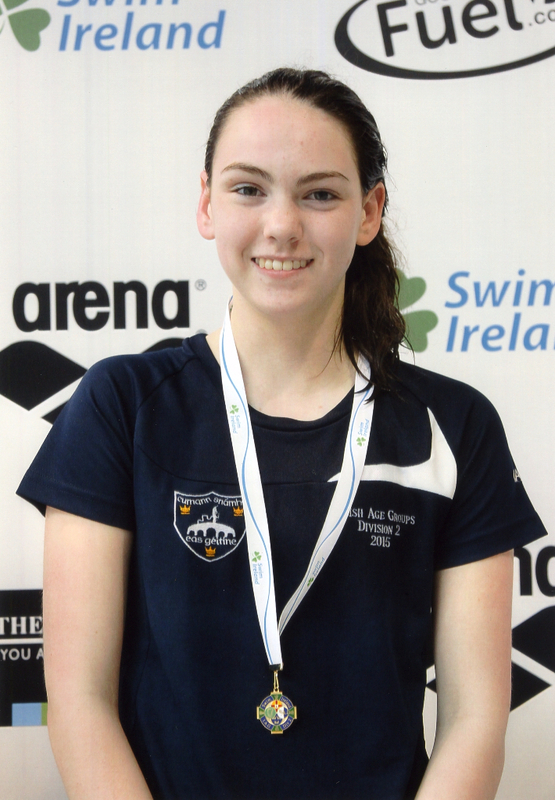 Roisin Duggan McSweeney would swim her 3rd 200 backstroke in the next set of finals. Entering the final in 6th position. Roisin controlled her race and set out in a quicker pace than the morning session. Holding that pace through the 3rd 50 of the race put her into contention for a medal and a strong finish saw her knock a further 4 seconds from her personal best and finish in 3rd position. Casey swam in the 200 IM final and after recovering from the excitement from the 100 fly set out a good pace. After a good technical race Casey set a new personal best and finished in 5th place overall. 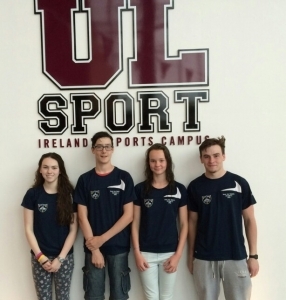 Roisin Duggan McSweeney was the first in the pool on Sunday morning in the 400 freestyle. 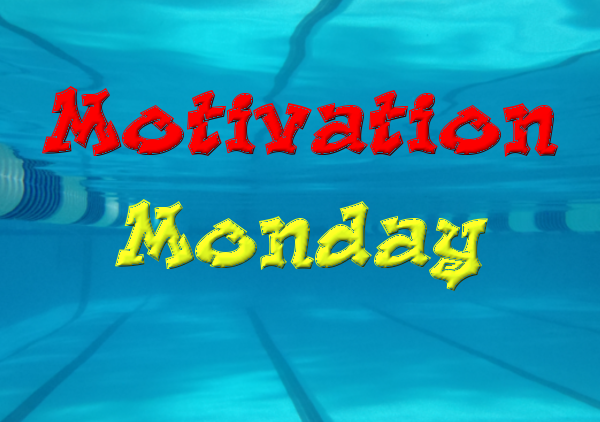 A perfectly paced race saw her set a great personal best and set her up for a good 100 free later in the morning. The boys 100 Freestyle was the next event we had athletes in. Michael Gallagher made his first appearance at a national competition and the wait was worth it for him, taking over 1 second off his previous best and finishing in 13th position. Daniel Collins continued to gain experience at national level and also posted a new personal best time and finish 22nd. Jack Feane was the last male to compete and swam a great race finishing in 16th overall but it is worth noting that there was 0.6 seconds between 8th and 17th. The girls made their mark in their 100 freestyle heats and qualified for the finals session swimming times inside or close to lifetime bests. 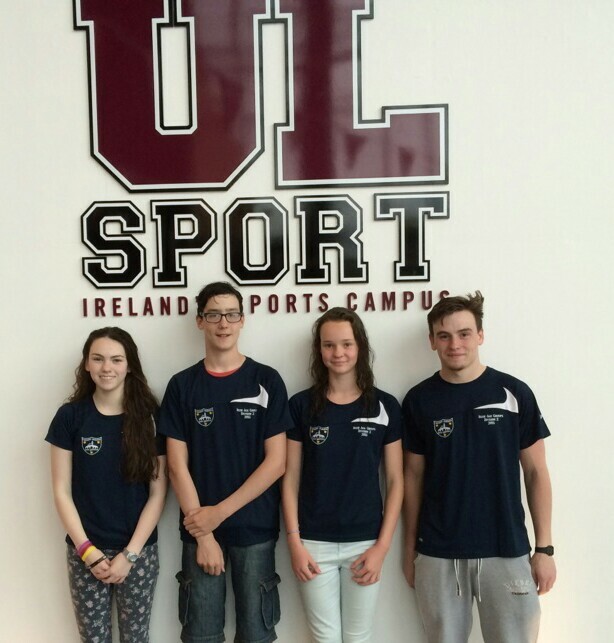 A quiet finals session in the grand scheme of things saw Casey & Roisin appear in the 100 Freestyle finals. Casey was first to compete and after qualifying for the final in 8th position she swam another lifetime best and secured a 6th place finish with all 8 girls in the final finishing within 2 seconds of each other. 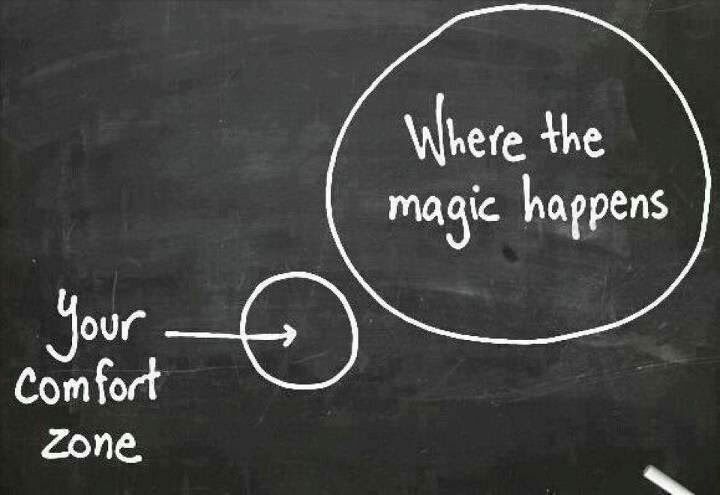 Roisin would see herself in a battle in her final as well with just 1 second separating the top 7. Rosin finished 5th just outside her personal best. 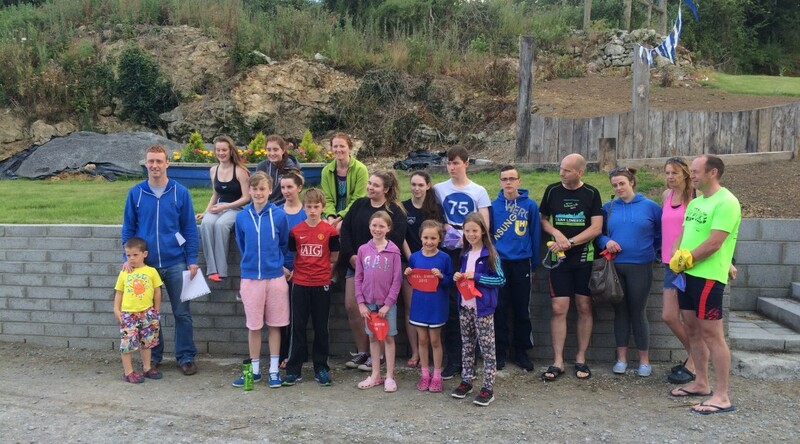 An amazing weekend of swimming for Askeaton Swimming Club. 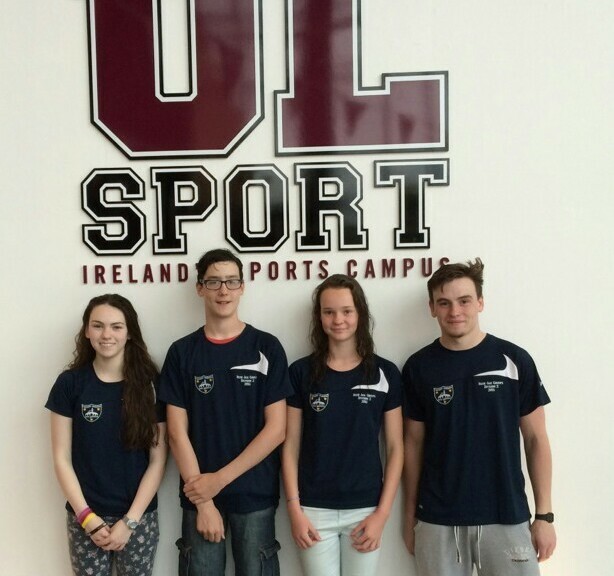 Our athletes gaining a massive amount of experience swimming at national level competitions. Congratulations to Daniel Collins, Roisin Duggan McSweeney, Jack Feane, Casey Flynn, Michael Gallagher and Eve Higgins you have done yourselves, your parents, coaches and club proud.